Are you thinking about purchasing venetian blinds for your home? 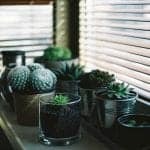 If so, read on to learn the top seven benefits of venetian blinds. When it comes to decorating and furnishing a room, too many people forget about the importance of well-suited window coverings. When you pick the right window treatments, you bring the whole room together and add class and style while helping to control light and temperature. 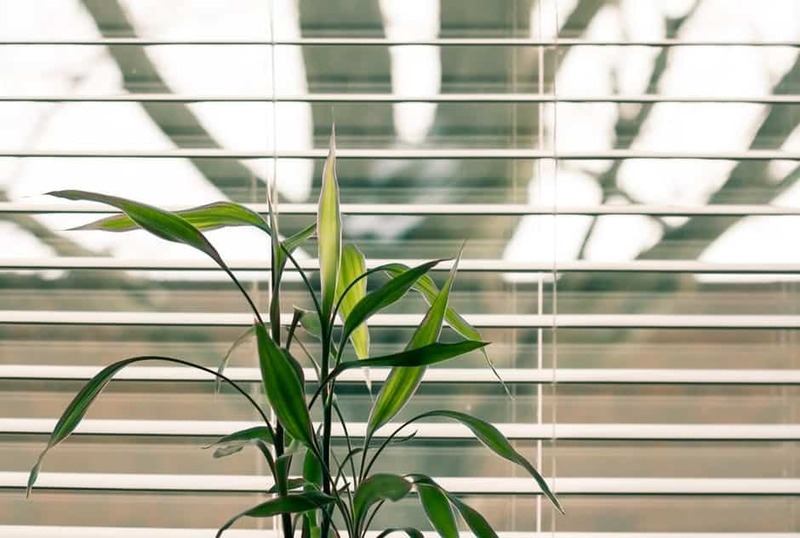 Venetian blinds are one of the most popular window treatment options for business owners and homeowners alike, and there are many reasons why. With some blinds and window coverings, you need to remove them from the windows each season to wash them thoroughly. Some blinds need to be sprayed down with soap and water and curtains require washing to keep them stain free. With Venetian blinds, however, a simple wiping down with a damp cloth or microfiber cloth will keep them looking their best. There’s no other cleaning required. People love Venetian blinds for the control it gives them over how much light enters each room. You can easily angle the blades in such a way as to allow lots of light or no light at all. They can be also be drawn all the way up to let the full light stream in through the windows. The ease with which Venetian blinds are opened and closed makes privacy easy to achieve. If you have neighbors nearby or if you like to shut off your windows from the world at night, these blinds can give you the full privacy you seek. Blinds will also help you control the temperature and keep energy bills low when you keep windows closed during hot, sunny weather. One of the biggest benefits of Venetian blinds is their versatility. They are a suitable design choice for a wide range of personal styles from country to contemporary. These blinds are available in many different materials including PVC, wood, and aluminum and can be cut narrow in width or wide. Customers can choose the material and size that best suits their taste and needs. If you choose wood or PVC, you can also choose the color of your blinds or just stick with the natural timber with a tasteful finish. Venetian blinds can look professional and welcoming, modern and traditional. And as window coverings, they provide a style that isn’t going to become outdated any time soon. No matter how large or how small your window, or if you have a unique shape to accommodate, Venetian blinds can be cut and sized to fit your windows. They’re also very easy to install, so if you decide not to have a professional install them for you, you can install them without much trouble by yourself. Just follow the simple instructions provided when you purchase the blinds. If you do have a professional install your blinds, you can be sure they’ll be put into place in no time. If you have a unique window shape or size that needs to be fitted for blinds, you can contact us to have them measured and have blinds cut to fit your window perfectly. We’ve fit blinds for some extra large windows, small windows, circular windows, and windows with arches. Venetian blinds are very durable compared to other window covering treatments. When properly treated, they can withstand many years of sun exposure while still holding up and retaining their gorgeous surface. Kids and pets can’t damage Venetian blinds like they might be able to do with other types of blinds or with curtains or shades. The faux wood or vinyl blinds are man-made and less likely to crack or warp when exposed to moisture or sunlight. This makes them a great choice for those who need window coverings in rooms where lots of light streams through the windows or where condensation might form due to extreme temperature changes. 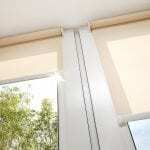 It also means the blinds can hold up against cleaning with water without them becoming damaged. When you choose Venetian blinds for your home or office, you can create a uniform, consistent look from one room to the next. Though you might decide to go with a different finish in each room, having your new blinds in place in each space can help bring a cohesive look to the property. If you’re planning on installing Venetian blinds in some windows while leaving other windows without, consider how nice everything will look if all your windows have a similar covering. Venetian blinds are some of the most affordable window covering treatments on the market, especially if you go with a less expensive material. If you’ve got a lot of windows to cover in your home or business, consider Venetian blinds for their affordability. Even if you only have a few windows in need of treatment, you’ll find some inexpensive options with Venetian blinds. Feel free to discuss your budget requirements with us before moving forward with your blind options. We can help you stick to your budget while still dressing your windows with the Venetian blinds that will look best in your room or office. Look no further than Shutterup for all of your window covering needs, including a wide range of choices in Venetian blinds. We’ve got several materials to choose from and options for every budget. As a family-run company, we take customer satisfaction seriously and work hard to make sure that each of our customers feels happy with their blinds. We want to share our professional advice without the added pressure and we’re certain you’ll be pleased with your Shutterup purchase. We guarantee all of our products and back that up with a 10-year replacement warranty. We also take child and pet safety very seriously and will help you choose the best window treatments to keep your kids and animals safe. If you have any questions about Venetian blinds or any of our other window treatment products, please don’t hesitate to contact us.